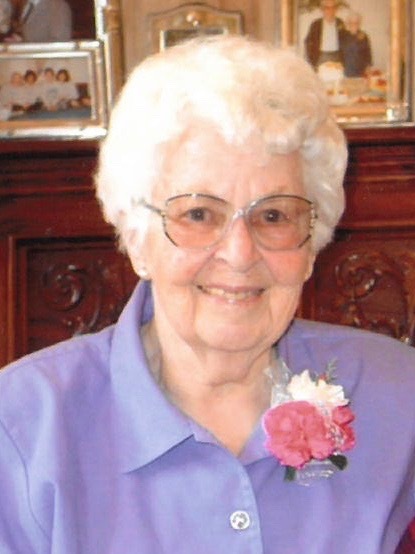 Phyllis A. Whitney, age 95, died Friday, March 22, 2019 at Lakewood Health Systems Care Center in Staples, MN, surrounded by loving family and caregivers. The memorial service for Phyllis will be at 11AM with visitation starting at 10AM at Brenny Funeral chapel in Baxter, MN and burial will be in Lake View Cemetery, Hillman, MN. Both will take place Saturday, June 8, 2019. Phyllis was born March 19, 1924, to Arba and Edyth Waller and grew up on the family farm near Hillman, MN. She was married for over 50 years to Kenneth Whitney. Phyllis loved her music and the piano, and gave piano lessons to many children. She loved growing flowers and especially she loved her family. She worked more than 20 years at the Brainerd State Hospital, volunteered for Bethany Auxiliary, in the Methodist church, and in Bible Study Fellowship. She also enjoyed the Baxter Garden Club. She is preceded in death by her husband Kenneth Whitney; son Dennis Tretter; daughter Mary (Whitney) Paine; her parents; 3 brothers and step-mother. She is survived by daughter Wendy Greenwalt; son Harvey Whitney; son-in-law, Bruce Paine and daughter-in-law, Ellen Tretter. She is also survived by many grandchildren; great-grandchildren; and her sister Elizabeth Kirk. There's still time to send flowers to the Memorial Gathering at the Brenny Family Funeral Chapel, Baxter at 11:00 AM on June 8, 2019.